CLAT 2019 is a national level entrance examination for students who are seeking admission in various Law universities across the nation. CLAT is an entrance exam which is conducted by 18 National Law Universities on rotational basis for admission into Under Graduate and Post Graduate programs of each university. CLAT 2019 organized by Consortium of National Law University. 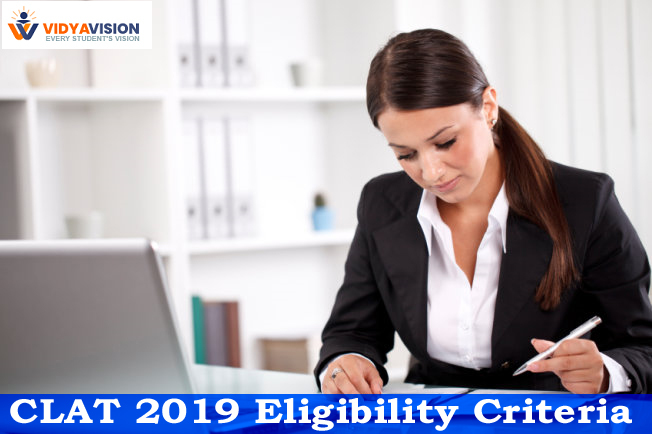 1) Candidates shall be below 20 Years of age as on 1st July 2019 for General/NRIs/NRI Sponsored categories candidates. 2) Candidates shall be below 22 years of age as on 1st July 2019 for SC/ST/OBC/Specially Abled Persons (SAP) category candidates. 3) Candidates must have secured at least 45% marks in qualifying examination (10+2) for candidates belonging to General /OBC /Specially Abled Persons (SAP). 4) For candidates belonging to SC/ST, minimum percentage is relaxed to 40% marks in qualifying examination (10+2). 5) Candidates who are appearing 10+2 examination in March/April 2018 are also eligible for appearing in CLAT 2019 online examination. 6) However, candidate must produce an evidence of their passing the qualifying examination (10+2) at the time of admission. 7) Candidate must submit the result of 10+2 at the time of admission. 8) Failing the above conditions the candidate shall be ineligible for admission to the Course. 1) Candidates must have secured at least percentage of 55% of marks in qualifying examination LL.B./5Year Integrated LL.B. (Hons. )/ Equivalent exam for candidates belonging to General /OBC /Specially Abled Persons (SAP) category. 2) For candidates belonging to SC/ST, minimum percentage is relaxed to 50% marks in qualifying examination LL.B./5Year Integrated LL.B. (Hons. )/ Equivalent exam. 3) Candidate must have passed / appeared in the final semester/final year examination of the qualifying examination on the date of his/her admission. 4) Candidate who appeared in the qualifying exam must submit final result within the time & date prescribed by respective University or Institute. Candidate will be given a provisional admission till then. 5) No upper age limit is prescribed.